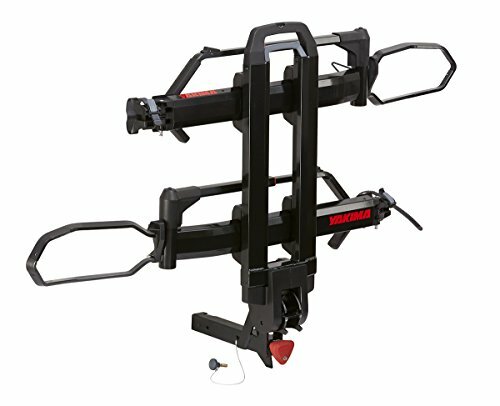 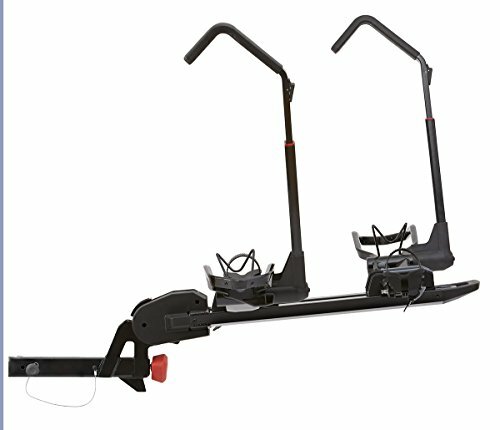 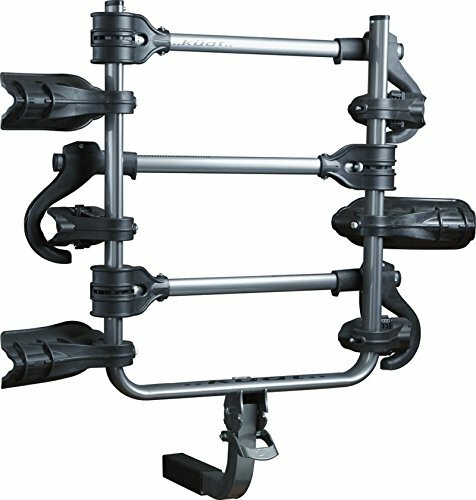 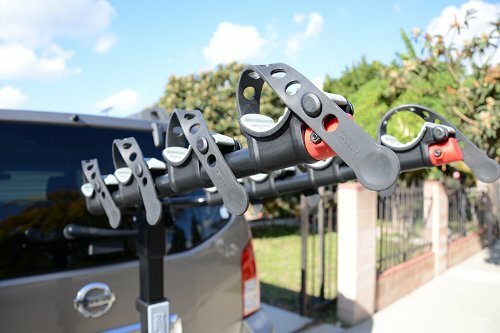 Why complicate your existence with those expensive and complex bike racks, when you can safely and stylish enjoy a relaxing beach ride with your soulmate or start a new adventure on the back of your bike, with the simplest hitch mount bike rack there is – Kuat’s Transfer 2 bike platform hitch rack. 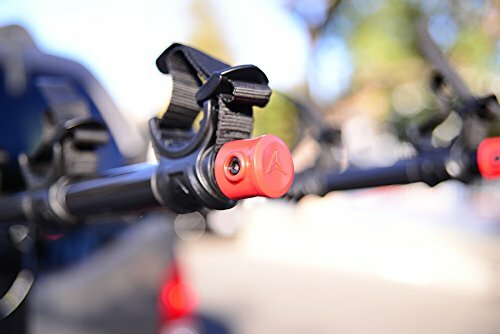 Whether you enjoy combining romantic moments in the sunset with your peer, with a healthy and relaxing bike ride or you’re absolutely dependent of the adrenaline you’ve got when you reach the top of the biggest hill, you don’t have to struggle till you get to live those moments. 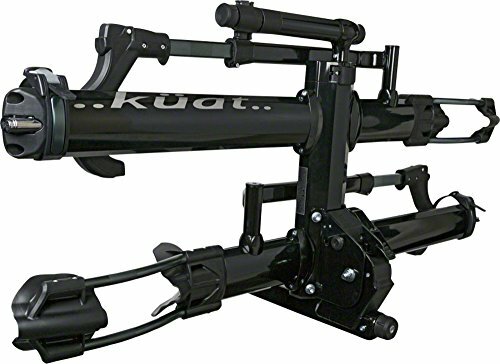 This is what the guys at Kuat thought of when they created Transfer, the budget-friendly, cool looking and highly functional 3 bike platform hitch rack. 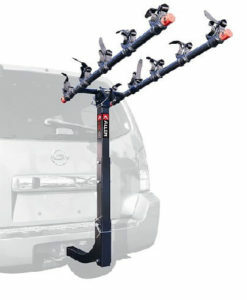 Join us and see if they were right. 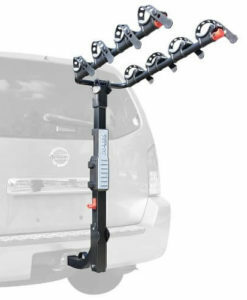 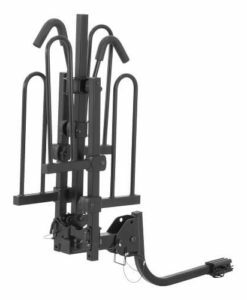 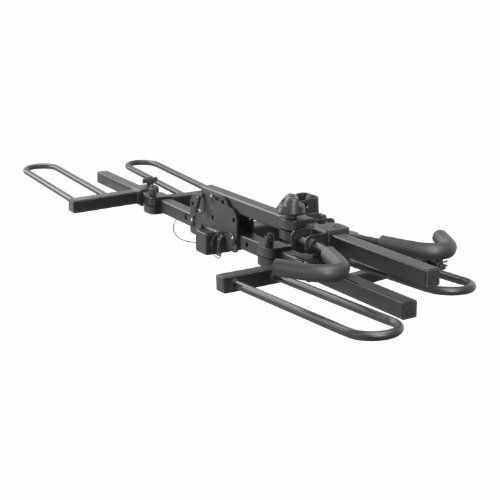 Alongside with the good looks and ease of use, the Transfer hitch bike rack provides safety of transportation, through its adjustable ratchet arm, that releases and secures intuitively, resulting in a snug, secure fit for your bike. 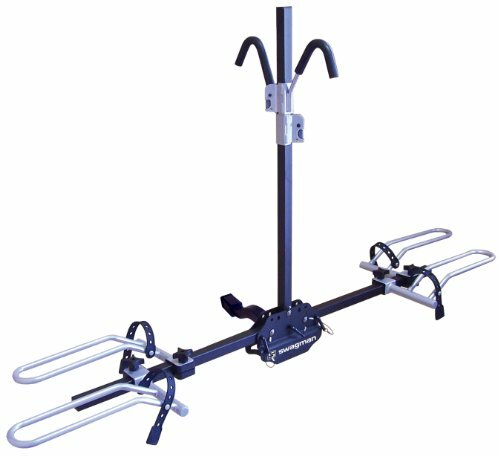 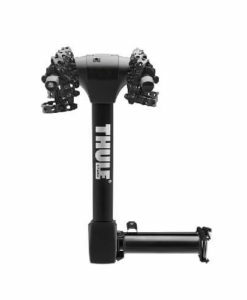 But this is not just a strong steel construction beast that won’t leave you hanging, this hitch mounted rack is also gentle with your bike, making no contact with the frame and thus protecting the painted areas or carbon frames. 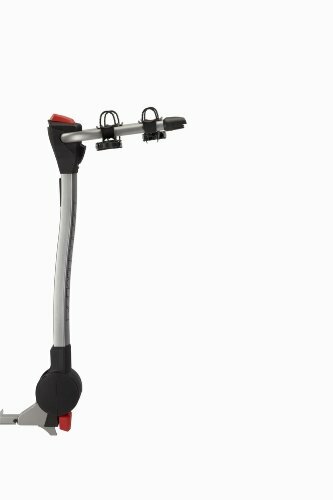 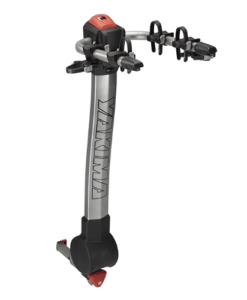 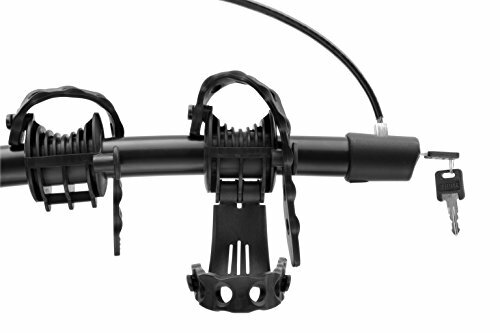 The convenience of this product is taken at a new level, with the Foot-Assisted Pivot System, that allows you to fold the Transfer up and down with a flick of the foot (on the spring-loaded pedal), when your hands are full or you’re a little bit lazy (don’t worry, we all are at times). 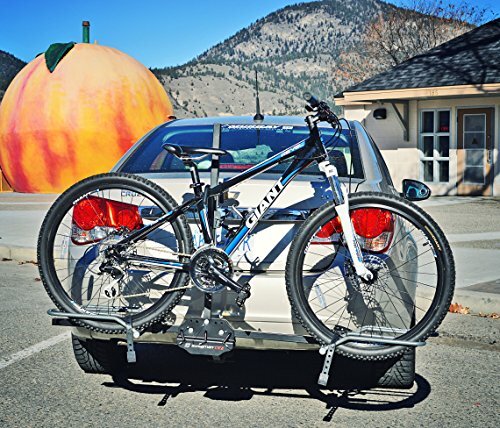 The adaptability of this 2 or 3 platform bike rack amazed us too, through its PerfectFit adjustment system, that allows you to mount 20 to 29’’ tires, up to 4.5’’ thick (with the use of the Phat Bike Fit – bought separately). 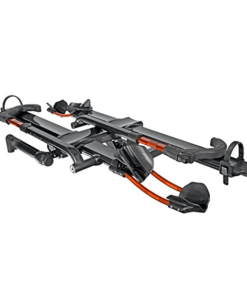 All of the above are comprised of a 30.5 x 28.8 x 6.2 inches platform bike rack.